The August issue didn’t feature to awful many projects, but I needed a knitting project because I didn’t like the one I tried in the July issue. It was awkward stitching, and I felt the finished style was to loose, it didn’t look like the bobbles it claimed to be. So I started the basic scarf from August. It’s a super simple stitch that almost any knitter has done before . I loved it though! I don’t remember any projects with this stitch, though I’m sure they existed. It was just repetitive enough to not get boring and just simple enough to remember and do without a pattern. I actually took this to the country with me last time I went and carried it around. It made a lot of conversation. I’ve also shared several of in progress photos over on My Instagram. 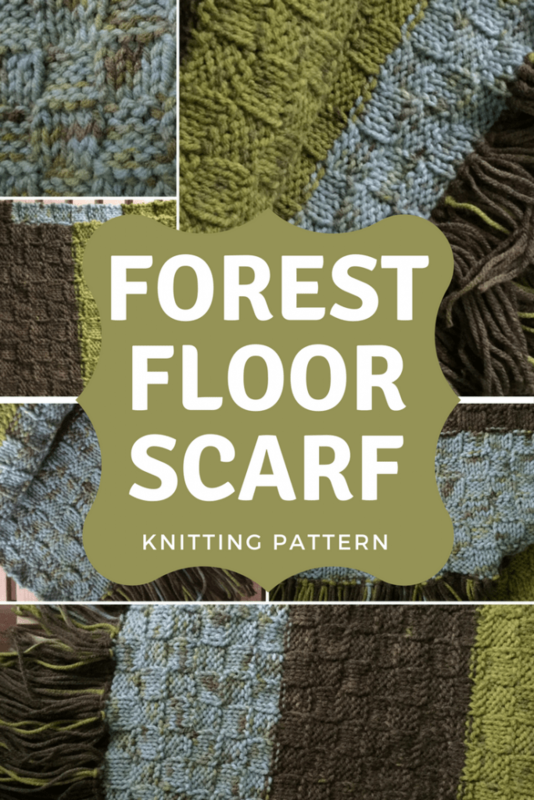 One comment said it looked like the forest floor, so that is what I’m calling it, because I agree. This scarf was actually finished in June and just waiting to be talked about. While working on it there were times that I adored the color and times I didn’t like it. Which is also like the forest floor, because not every inch of forest floor is beautiful. Want to make your own?? It works up great in so many different yarns. It could be done just as easily in a nicer hand dyed, or in a classic Red Heart. 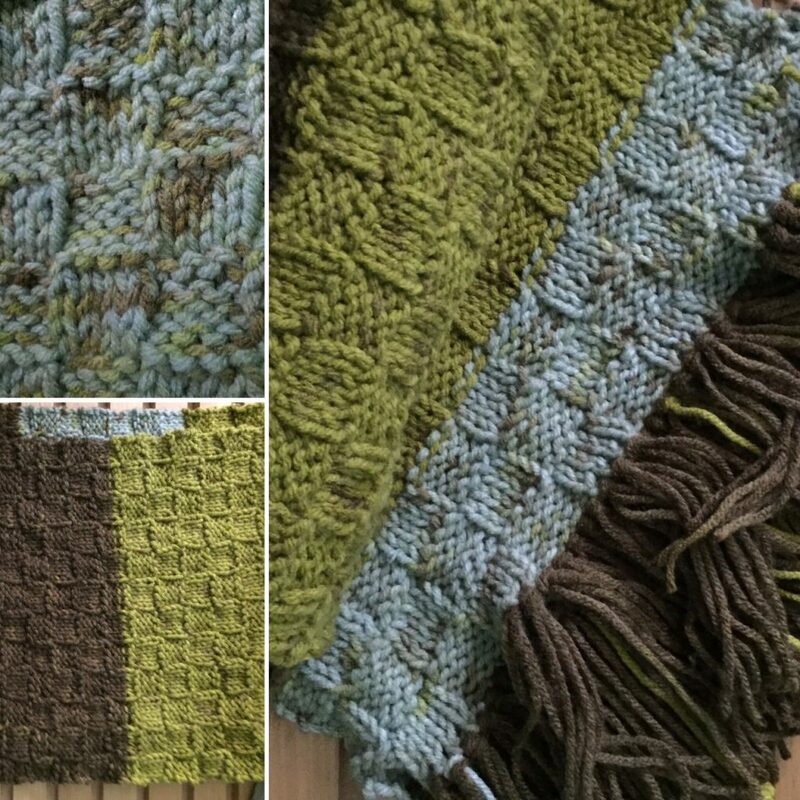 I used 2 skeins of Sweet Roll (I purchased mine at AC Moore, but I don’t think it’s a store exclusive) in the colorway Wasabi Pop. It is a worsted weight yarn (but don’t feel you have to use worsted) and each skein weights 5.5 ounces. I did arrange my skeins to start where the colors matched, so starting in the middle of the second skein to be at the color I needed, and then adding that back in at the end to finish it. This would also be beautiful in so many of the other colorstriping cake yarns right now, like the Mandala by Lion Brand. SIze 8 needles- or sized to gauge, lighter yarn will need a smaller needle. Exact gauge doesn’t matter, but you don’t want it super loose or super tight. Must be a multiple of 4. I like a wider scarf but you can easily make a skinnier scarf with less cast on. 36 is suggested for a kids scarf. Pattern updated September 21-2017 to fix a mistake. If you’ve printed the pattern previously please update it. You will be knitting in all knit stitchs, and purling in all purl stitches. Similiar to a 2×2 rib. Row 7- Purl in all the knit stitches and knit in all the purl stitches. You are now switching the pattern to the opposite of before. Repeat these 12 rows for pattern. After every 6 rows you’ll be switching the pattern to created a woven look. If you happen to miscount on occasion and create a short section by accident it won’t be very noticeable in the finished project. Continue until the length you want. If you want fringe, Use 2 pieces of yarn per stitch on each end. 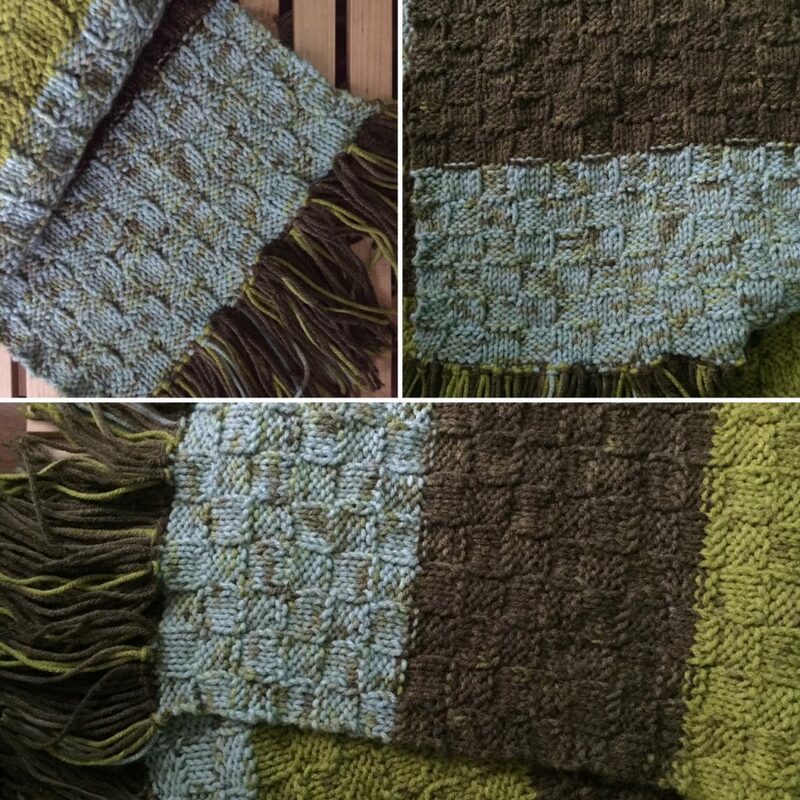 My fringe is 4 1/2″ by using 9″ strips of yarn. If you love it and want to save it for later it is on Ravelry! I would love to hear your thoughts! I’d also love to see your finished items if you make something with the pattern!